Wander up through the walled medieval old town of Ventimiglia Alta exploring the rabbit warren maze of narrow alleyways, hidden piazzas and old pastel coloured stone houses before visiting the Romanesque cathedral and 11th century baptistery built on the remains of an ancient Roman temple; while away a relaxing morning sunbathing on the terrace of your luxury penthouse and then head off to the fabulous Hanbury Gardens wandering through gardens filled with rare plants, sculptures and fountains, gardens devoted to cacti or hibiscus or passion flowers; treat yourself to a boat trip around the beautiful rocky coastline before coming into town to feast on a delicious lunch of focaccia with tomatoes, anchovies, olives and garlic followed by homemade gnocchi with pesto all washed down with a glass of the local Vermentino wine. Located on the Italian Ligurian coast just a few kilometres from the border with France and blessed with warm, fresh summers yielding to mild and bright winters, there is an excellent range of Ventimiglia property for sale offering investors the opportunity to become part of this pretty seaside resort. Sitting at the mouth of the River Roia where it flows into the Ligurian Sea, the river divides this charming seaside town into two zones: the medieval old town on the hill on one side of the river and the modern town running along the coast line with its brand new marina. The town's Roman heritage is showcased on the eastern side of the town where part of the original Roman town of Albintimilium is being excavated. There's an amphitheatre and other areas including a thermal bath and living quarters and right next to the ruins is a museum that helps you understand what you're seeing. Among the many well preserved medieval gates into the city in Ventimiglia the most interesting is the 12th century Canarda gate which once provided westward access to the walled city. In ancient times the old road leading from Rome to Provence and Spain, the “Via Julia Augusta”, was just below this gate. And don't miss the Friday market bursting with local cheeses, olives, fresh fruit and vegetables, glistening fish and of course local olive oil! 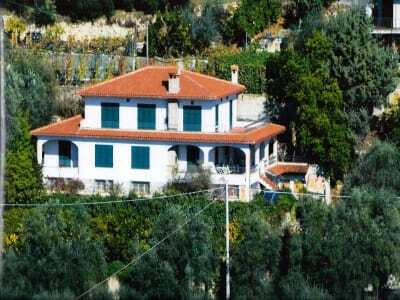 Although property prices in Italy have been declining for more than seven years, Ventimiglia property prices remain high. There is increasing interest from international property buyers particularly those from the French Riviera and Monaco where both property prices and taxes are much higher than in Italy. 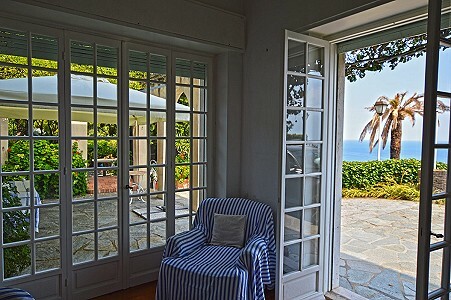 There is a wide range of Ventimiglia property for sale to suit all tastes and budgets ranging from superb waterfront apartments overlooking the Mediterranean Sea to luxurious villas with private gardens up in the hills behind the town. There is a good range of apartments for sale both down by the marina and up in the hills starting at around 390,000 EUR for a two bedroom apartment with sun terrace and fabulous views of the sea and going up to around 600,000 EUR for larger properties. At the top end of the market can be found beautifully renovated properties where a four bedroom penthouse in the centre of town and just minutes from the sea would cost in the region of 1m EUR. Luxury villas tend to be built on the outskirts of the town up in the hills offering wonderful views of the sea and surrounding countryside. There are a number of villas being built with prices starting at around 1m EUR for a three or four bedroom property with huge terraces offering superb panoramic views of Ventimiglia and the Mediterranean Sea, parking and landscaped gardens. 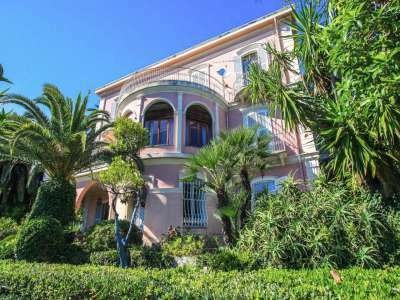 Ventimiglia property provides investors with the perfect opportunity to buy a property on the Italian Riviera and enjoy the 'Dolce Vita'. Whether you decide to buy a luxury hillside villa with swimming pool and sea views or a modern apartment in the new marina with direct access to the sea, Ventimiglia makes a perfect holiday and investment destination.